Boston Has Lots Of Monuments To White Guys. 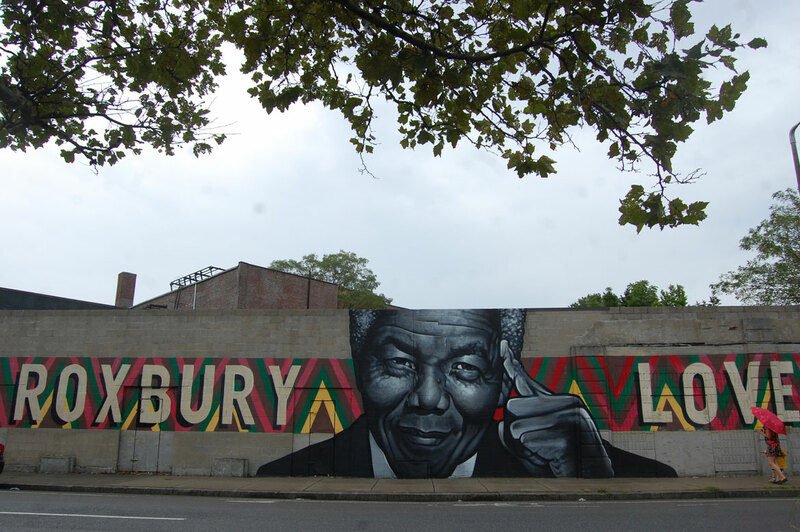 How Can The City Do More To Honor Other Folks? 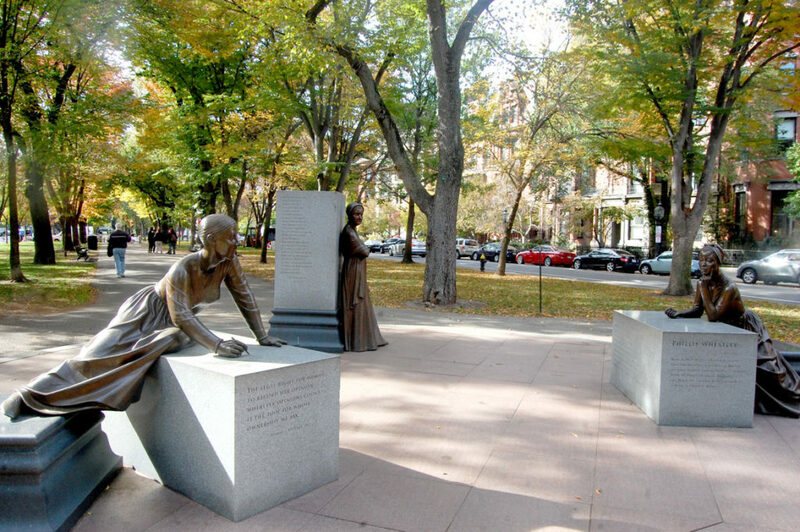 The “Looking at Monuments Through An Equity Lens” panel at 6 p.m. Dec. 11 at the Copley Square library will feature Meg Campbell, co-founder and board member of the Boston Women’s Heritage Trail; L’Merchie Frazier, director of education and interpretation at the Museum of African American History Boston/Nantucket; and Wing-kai To, vice president of the Chinese Historical Society of New England. Fairness and inclusivity in public monuments has taken on urgency as the country has been roiled by arguments over what to do about monuments across the country to the racist, traitorous 19th century Confederacy. In Boston, that has led to discussions about the fate of the state’s only monument to the Confederacy, a granite plaque on Georges Island in Boston Harbor memorializing Confederate soldiers who died while held as prisoners there during the Civil War. (It has been covered up as the debate goes on.) People here have also debated whether Boston’s landmark Faneuil Hall Marketplace should be renamed because it’s named for the 18th century Bostonian Peter Faneuil, who owned and traded slaves. Sometimes better representation can be added during the planning process for public art. 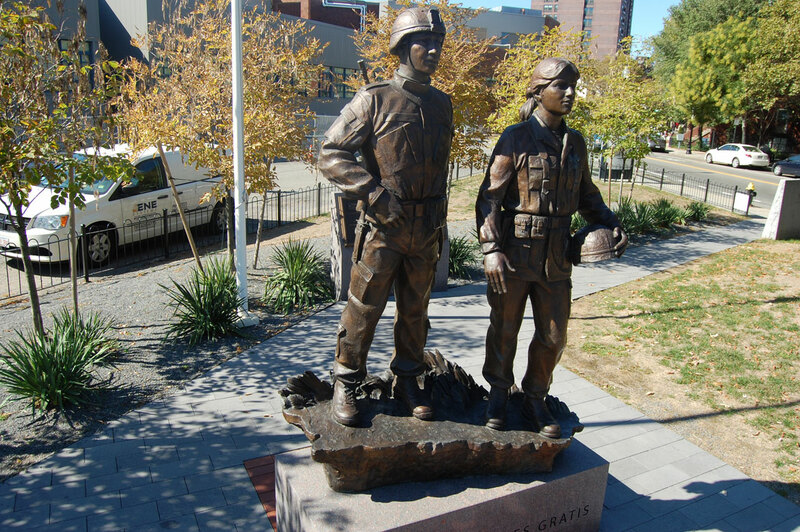 Wu says when she was involved in the advisory board for the 2013 monument to Puerto Rican veterans in Boston’s South End, she successfully pushed for a statue of a woman soldier to be added next to the sculpture of the man. Plaques, wayfinding or signs could be added to existing monuments, Wu says, to honor people and communities that have been left out. The naming of buildings—like the planned new Chinatown library—is another area she sees as an opportunity to do more to honor the rich diversity of the city.